It is essential to have a dog that knows how to follow the right rules and how to live around your house. To achieve this, dog training must be considered. Most people think that training a dog is hard and expensive. Moreover, dog training requires a lot of patience and creativity for your dog. We have to remember that dogs may be intelligent but they can not be as intelligent as us. The article provides some of the basic things dog owners need to know so they can do the training themselves. However, to maximize the full potential of your dog, a dog trainer should be hired instead. What are the differences between a submissive dog and a dominant dog? • rolls on its back. • crouch down, ears back and tail lowered. • is comfortable on its back in your arms. • is unwilling to move from his place on the couch. • dislikes grooming and petting. • is possessive of dishes and toys. Training your silky terriers requires kindness and consistency. Silkys respond actively to praises and to rewards. In addition, they become harsh and unresponsive towards punishments and animosity, respectively. Trainings with obedience classes can be intensely beneficial in petting your silky terriers. In many dog training schools, classes for puppies are available. Young dogs are taught to get accustomed with other dogs and people using limited trainings. However, there are areas that do not conduct formal obedience training unless the dog is at least half a year old. Always remember that a dog is never too old to benefit from training when a good trainer is available, or if the owner is fully committed to the task. Reiteration is the name of the dog training game. In here, dogs are asked to do a task over and over again to achieve mastery. Dog tricks are best learned when reiterated and reinforced through rewards. Patience is a virtue that requires you to tolerate hardships. Persistence is trying to be patient for a longer time until a goal is achieved. 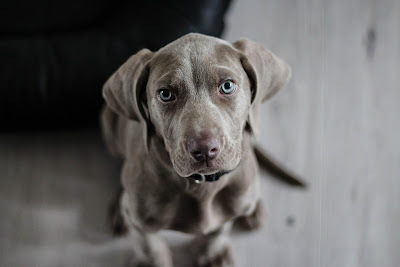 Apparently, dog training requires a lot of persistence from the owner or from the trainer Physical and psychological aspects of the owner and/or the trainer must be sound. Simply put, if a dog does the right thing, it should be said aloud. Otherwise, the dog should hear, "No, that's not it!" when the trick is not complete or appropriate for the command given. These words reinforce correct responses and diminish the unwanted ones. Bits of cheese would really be good treats for dogs who responded correctly to a given command. Other food can be bought at pet sores. However, if you are able to get the respect of your pet, commands will be executed even if there are no longer involved treats. Likewise, these things reinforce warranted responses. 1. spending time grooming your dog. 2. having regular training times on the leash. 4. hand feeding some food to ensure that the pet is taking treats gently and slowly. In asserting dominance, always practice consistency and firmness. Afterwards, you can be a master and a dear friend to your own pet.